Can the D that marks her shame also be her key to a new life? Disowned by the only family she’s ever known, her humanity stripped from her with a brand that marks her as a commodity to be sold, Celeste is desperate enough to try anything to escape. After a near fatal plunge over a cliff, she washes ashore to find a family willing to nurse her back to health. Celeste recovers, slowly coming to trust the family, and despite his fierce appearance, even the terrifying ex-knight who speaks only with strange hand signs. Her tenuous peace is shattered when the eldest son, a soldier, sworn to return illegal slaves to their owners, arrives injured and furious with his family for harbouring her. Corporal Mick Haynes must choose where his loyalties lie—with the life as a dutiful soldier who always has a plan and plays by the rules, or protecting the girl he never expected to fall for and risk it all? With war on the horizon, and bounty hunters closing in on Celeste’s location, time is running out…for them both. What a story! Wow, this is such a different story than what I&apos;ve read before. I liked that it was a fantasy world, but one on the cusp of the industrial era with electricity and technology, I&apos;ve never come across this before. I was swiftly sucked into the story and found it hard to put down. I was impressed with how smoothly it read (doubly so because this was the author&apos;s debut novel) and stayed up wayyyy beyond my bedtime two nights in a row in order to reach the end. Sarah Addison-Fox mixes action, heartwarming characters, and a beautiful writing style to construct a 5 star novel. I highly recommend this and can&apos;t wait to read it again! 4.0 out of 5 starsIf you're on the fence about reading this one, allow me to push you over. 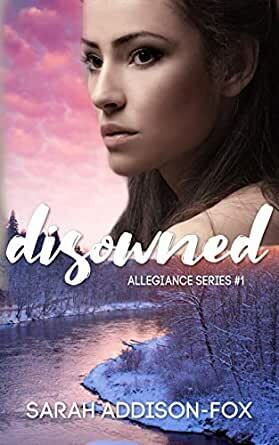 Disowned by Sarah Addison-Fox is the first book in the Allegiance Series. Set in the country 'Etraea', it follows main character Celeste, an escaped slave of a neighboring country, as she attempts to navigate this new land, and the family that has taken her in at their own risk. I wasn't sure what to expect with this book, and I was pleasantly surprised at how engrossing I found it. The point of view narration jumps around between a few characters, Celeste probably only gets to tell about half of the book. Rather than confuse, this seemed to help. Celeste is an escaped Kyraenean slave and, as such, has a limited perspective when it comes to all things Etraean. Getting into the heads of Maggie (a warm mothering figure), Mick (Maggie's son, and also an Etraean soldier), and some of the other supporting characters helps the reader navigate these unknown lands guided by both the experts and the just learning. I was fascinated by the cultural differences between the two countries, and wanted to learn more about Celeste's past experiences. Her character is understandably closed off and guarded throughout the story. It was slightly frustrating, as the reader, not to be able to understand her better, yet it made sense considering her background and escape. My hopes in this regard, are high for the next book in the series. No spoilers, but the place where this book leaves off leads me to believe we are going to get the full experience of Celeste in Book 2. The supporting cast of characters feel well-developed and all have important roles to play. Celeste hasn't had a family of her own in far too long, so Mick's family fills out her own with mother, father, sister and brother. 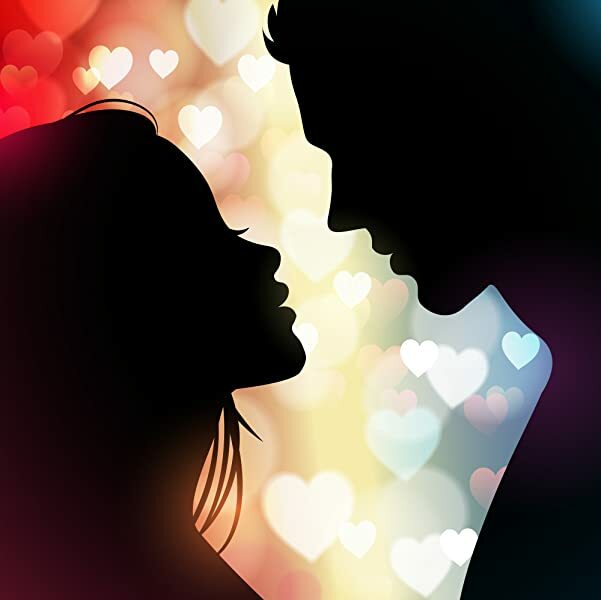 Of course, being that he is a few years older than her, adult and they are not related, there is an attraction that develops fairly early on. I love a good romantic subplot as much, if not more, than the next reader, so I enjoyed this development. Naturally, being that these are young characters in a YA novel, they do have The Big Misunderstanding, but in a refreshing twist, they don't stomp their feet, whine and pout about it for the rest of the book (alright, Mick did a little whining- but he had a few drinks first, so it was totally natural). The pacing of this novel was interesting in it that it was somewhat slow, but that didn't irritate me. I was enjoying getting to know the characters and the land as the stakes were very gradually revealed. Rather than Book 1, it really felt like Part 1. The ending is an excellent leave off point that will have you wishing it was February and the next book, Dissemble, was already in your hands. I enjoyed the use of faith & religion in this book. "Etra" is a stand in or pseudonym for our concept of God, and the Haynes family are devoutly religious. What I liked about this was that they felt like a real Christian family, they argue and fight and struggle with humanness, but at the end they forgive, love and keep striving for the Godly. I am curious to see how these Christian concepts are used going forward into the rest of the series, especially the next book (spoilers!). This wasn't a short book, but it was a quick read. I had planned to give myself a whole week to read it (short sprints, you know) but ended up finishing it in a night & a half. And yes, I was very tired going to work the first morning. If you're on the fence about reading this one, allow me to push you over. And what better time than now, with the sequel set to come out next month? 4.0 out of 5 starsNot my top favorite, but still a great fantasy read! That was a ride. Wow! It took me awhile to get into the book, but after about a hundred pages, I was really devouring it! The story was simply amazing. I was so impressed with how it was written and designed. Like, wow! It did get slow in the middle, but I suppose every book has that, and it ended up working out. Celeste was a very likeable character. It was very interesting to see how cautious she was around the Hayne's family. It was very realistic, and really made me think about her situation. I really enjoyed watching her character change over time. She was such an independent woman. And that cliffhanger at the end... like, I need to know what happens next! Content to watch out for: uses of d*** and b****y a few times, a young man notices a woman’s shape a couple times, a soldier gets very drunk, violence and death, some vague moments of the slaves being treated like prostitutes. So, what is it about Disowned, book one in the Allegiance series by Sarah Addison-Fox, that has caused my excessive fangirling and driven me to disturb the lives of so many of my friends and family by loudly and repeatedly declaring to them that they need to read this book? So, many things did. First off, the writing quality went above and beyond my expectations. I couldn’t believe that this was only Sarah’s first book. Secondly, I loved the characters- they are all so individually awesome and unique to themselves. The Haynes family has completely won me over! Maggie is such a dear mothering spirit. And her kids- Joe and Sadie- are little dears, especially Sadie, I fell in love with her when she drew that picture of a mermaid for Celeste. *heart shatters* One of Sarah’s strong writing points is in her dialogue among the characters, which definitely impressed me. Also, the setting is very unique. It is not your typical medieval fantasy world, but rather a world in a limbo setting between modern and medieval times. So, electricity, rifles, and a few other modern conveniences make their appearance, but there are horses instead of cars and an old fashion feel to the entire book. Another neat thing about the setting is the unique landscape that she’s portrayed, much of it based off the New Zealand fauna and landscape that is so familiar to the author. And then there’s the plot. Celeste is a run-away slave from Kyraena, an underdeveloped country of spiritual darkness where slavery is rampant. Etraea is a land where she hopes to find freedom. But is freedom ever even possible for a slave? Mick is an injured soldier returning to recover at home only to find out that his family is harboring an illegal fugitive. Mick is honor bound to turn Celeste in according to a treaty that is just barely holding together the fragile peace between Kyraena and Etraea. Mick’s family, and especially his mother Maggie, seem determined to protect Celeste. Why, do they insist on complicating everything? And poor Celeste is painfully learning how to trust and trying to adjust to being around people who actually care and love each other. It really is a struggle for Mick to understand Celeste’s POV; he very much begrudges Celeste’s very presence as well as little things like her accidentally sitting in his seat at the table for supper. For Mick who thinks of life as a series of problems for him to systematically solve, Celeste is going to prove to be his biggest problem yet. I love the Haynes family’s impact on Celeste. As it is with any Christians who truly live their faith, they can’t help but attract Celeste with their faith in Etra (God). Their prayers to Him are far more personal and different than the prayers she’s seen given to the many gods of Kyraena. I am looking forward to seeing more of this aspect in the next book in the series. But nothing that I’m telling you will fully be able to explain why I love Disowned so much. You need to read it for yourself! I’ve read it completely over three times (and enjoyed it every time) as I’ve alpha read for Sarah, which has been an infinite delight for me. Every time I’ve read a new version of the book, I’ve seen it improve and get even better which I did not think was possible at the beginning. It’s been amazing to see! I would definitely recommend Disowned to fans of clean Christian non-magical fantasy. Do get a copy.! It’s beyond an amazing book!